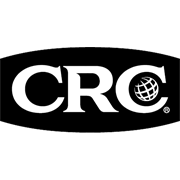 CRC Mag Wheel Cleaner is a powerful non-acid formula that is suitable for cleaning most wheel types including original factory applied clear coats. Its unique, fast acting foaming action penetrates, dissolves and lifts off dirt, grease, tar, road grime & brake dust. Cleaning is easy and wheels are left spotless, with no residue or any need to hand dry. 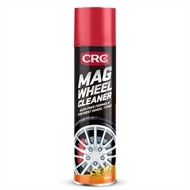 CRC Mag Wheel Cleaner safely restores all clear coated alloy or magnesium wheels to their original condition. It contains an additive to brighten the metal and an anti-static surfactant to repel dust & dirt, ensuring a long lasting shine. 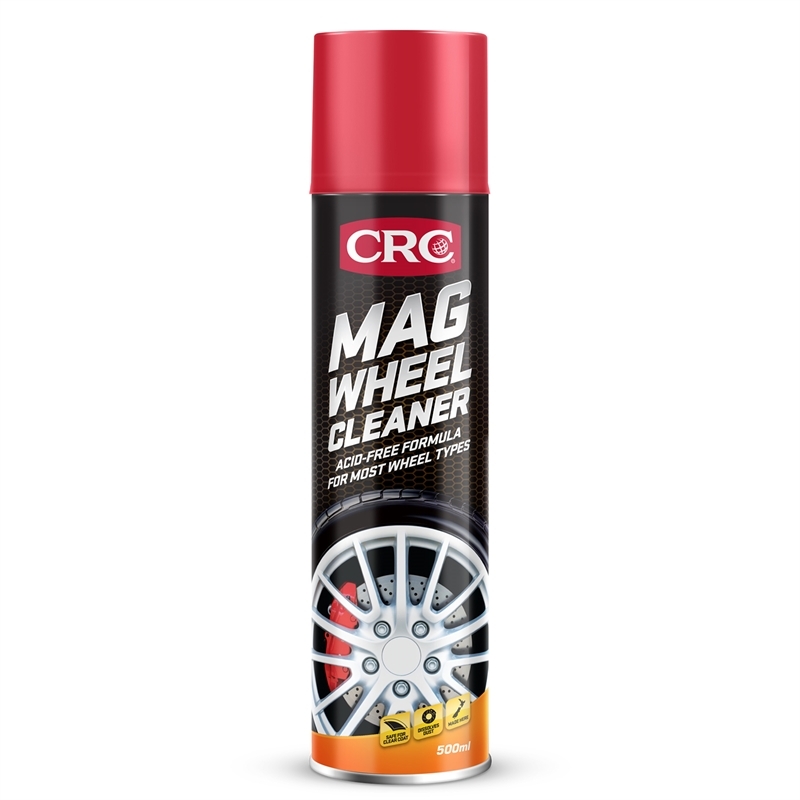 CRC Mag Wheel Cleaner will not harm paint, rubber, chrome, gun metal, polished or unpolished aluminium or plastics. Do not use on wheels finished with a metallic coating such as HyperCHROME or others. If unsure, contact the manufacturer of the wheels.